A NJ wedding can be a emotional day. 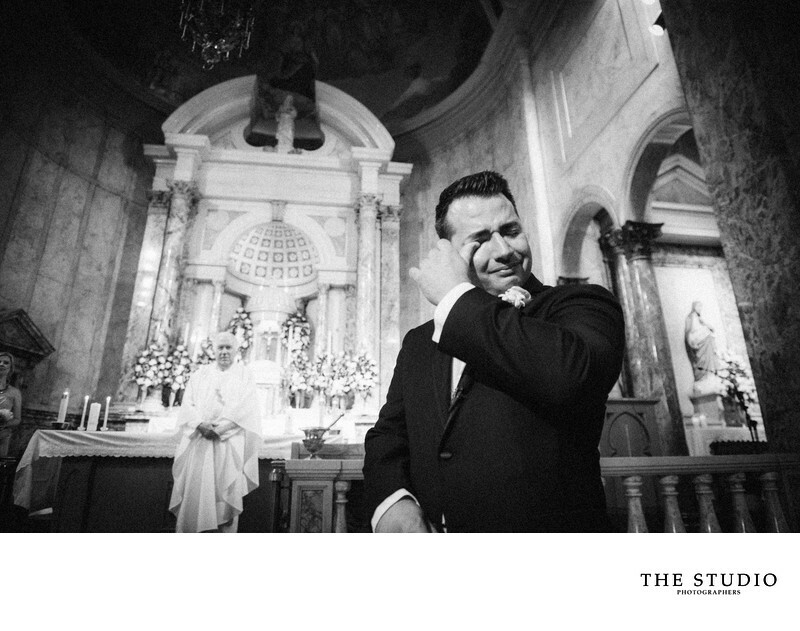 It can even be emotional for the groom. This is the moment when Telmo first saw his bride, Jennifer. I happened to turn around and saw him wiping away a tear. It is one of those moments that will never happen again and you just have to be ready to capture. Moments like this cannot be staged. They tell so much about the relationships of the people in them. This is what drives our passion for NJ wedding photography. I always like to say we are only as good as our clients and Telmo gives this image the life to give someone the feels. Location: 97 Rivervale Rd, River Vale, NJ 07675.